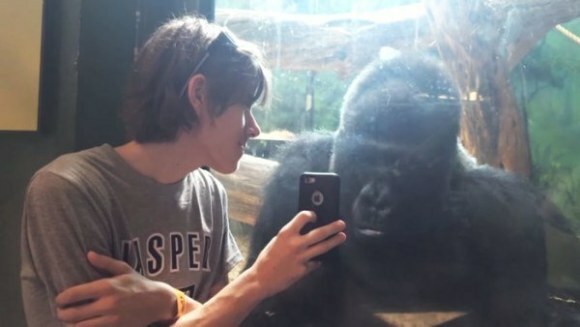 It all started when the gorilla came to the viewing window and sat down by the young man. Jelani then indicated that he wanted to see what was on the phone. The incident lasted around 30 minutes as the man showed Jelani photo after photo of other gorillas. The pair even posed to take what has to be one of the best selfies ever. They definitely seem to develop a real connection. 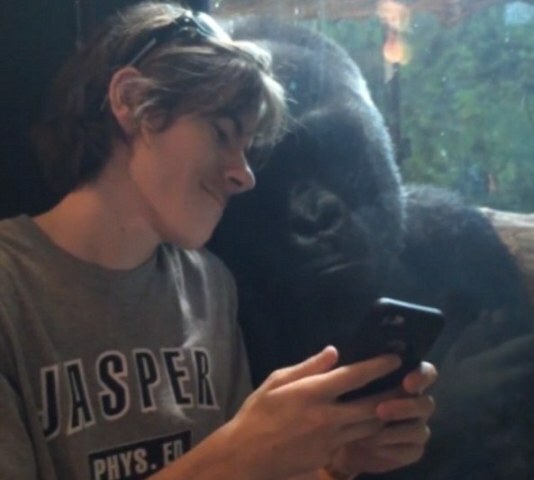 According to the zoo, Jelani has a fascination with electronics and has engaged people more than once to see photos and videos on their devices. Even Dian Fossey would be intrigued by the laid-back gorilla's behavior. It is an interesting look into our own really deep ancestry. We share 95-99% of our DNA with these great apes. If you are frustrated by no one wanting to see your holiday snaps then you may want to make a trip to the Louisville Zoo in Kentucky. Jelani would probably be interested -- at least for a little while.